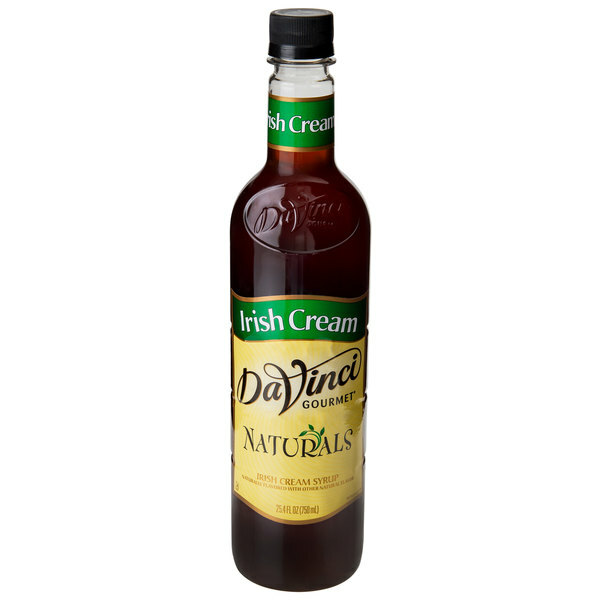 DaVinci Gourmet all natural flavoring syrups, like this Irish cream syrup, are naturally delicious, providing consistent quality flavor without the artificial flavors, colors, or preservatives! Made with pure cane sugar, this flavoring syrup is perfect for sweet drinks like iced coffees and frappes. Since it is shelf stable, you can proudly display this all-natural product along your bar or counter. Just like its cream liquor counterpart, which is composed of Irish whiskey, cream, and coffee flavoring, this Irish cream flavoring syrup enhances the aroma and taste of any drink without imparting any artificial color. This blend of flavors is perfect for adding to your hot coffees or even hot lattes. Though this syrup does not contain alcohol, you can use it to make attractive mixed drinks even more appealing to your customers. One splash of flavoring syrup goes a long way, and flavored beverages made from this flavoring syrup enhance your menu with new and appealing, all-natural items! This user-friendly plastic bottle is easy for your baristas and restaurant staff to handle. 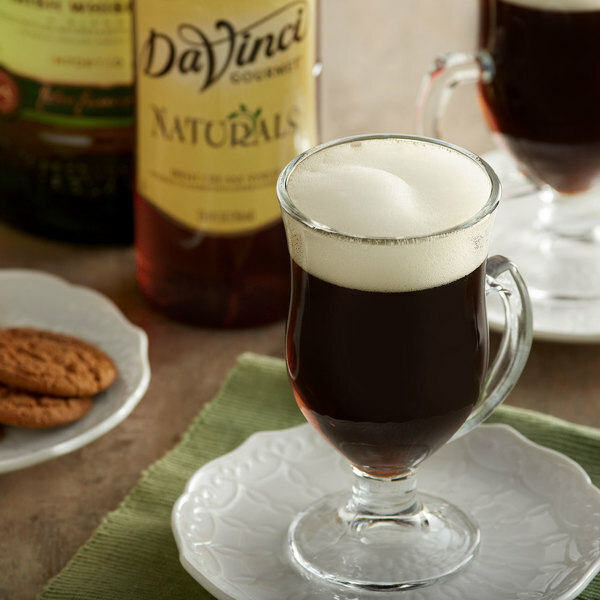 Sold in gourmet coffee shops, specialty food stores, food service outlets, and grocery stores, DaVinci Gourmet products, like this all-natural Irish cream syrup, have a long history of commitment to quality and superior taste. I go through cases of this around st Pattys day. We make a green Irish cream beer that everyone loves. Add two pumps to any light lager and green food coloring.